Shopping for a new BMW X6? Practicality isn’t high on your list of must-haves if you’re going for a BMW X6, so you might as well opt for one of the V-8s. The 2018 BMW X6 delivers eye-catching style and good driving dynamics, but is it still an SUV? The 2018 BMW X6 four-door SUV is evolution, baby. It's a tall-riding crossover with a sleek roofline and the wild-child compared to the X5 from which it is based. This year, the X6 carries over unchanged aside from some shuffling of its optional equipment packages, which are now grouped more like trim levels: base, Premium, M Sport, and Executive. It remains available with a choice of line-6 and V-8 engines, both of which are turbocharged and mated to 8-speed automatic transmissions. Rear-wheel drive is standard with the 6-cylinder; all-wheel drive is optional there and mandatory with the V-8. Even the base X6 is polished and fun, but the range-topping X6 M takes things to an extreme with its 567-horsepower V-8 and 4.0-second 0-60 mph sprint. No X6 lacks for features or flair, but there’s a high degree of customizability. 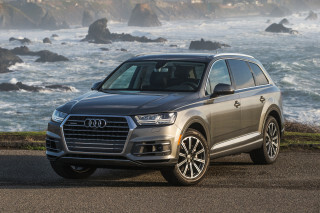 This year, a streamlined optional equipment structure does away with some a la carte options in favor of packages that more or less act like trim levels; the difference there is about as exciting to debate as crossovers versus SUVs. The X6 has not been crash tested and, given its limited sales volume, it’s not likely that either the NHTSA or the IIHS will sacrifice a few to the concrete gods any time soon. The closely related X5 has done well and, like the X6, is available with a wide range of collision-avoidance tech. If you like the way it looks, the BMW X6 is distinctive outside and classy inside. You probably beg to differ. Few vehicles are as polarizing—and few have inspired a new segment like the X6. 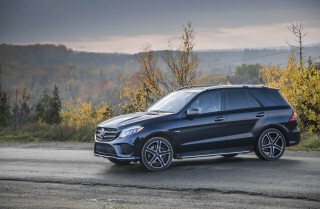 Mercedes-Benz and Land Rover have both gotten in on the sleek, tall crossover game, and BMW has even imitated itself with the smaller, X3-based BMW X4. From the front, the X6 is a dead-ringer for the X5. Things get dramatically different once you start to look at the X6 from different angles. It’s a crossover from the belt line down and something entirely different where its windows start. 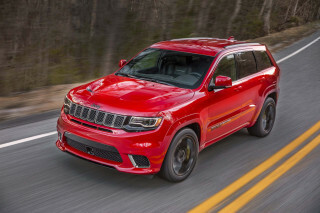 Not quite as svelte as a sporty hatchback or sedan, the crossover still boasts a profile far more refined today than nearly a decade ago when the first X6 debuted. The BMW X6 rides well and has a trio of willing, strong engines. 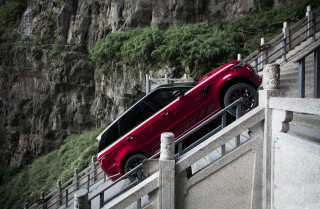 For those who must have more, the X6 M verges on the absurd. We’re fine with that. 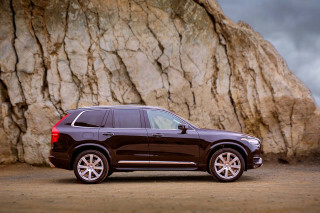 Let’s start with the base model, available either as the sDrive35i (rear-wheel drive) or xDrive35i (all-wheel drive). Under its hood lies a twin-turbo 3.0-liter inline-6 rated at 300 horsepower, which isn’t too shabby. 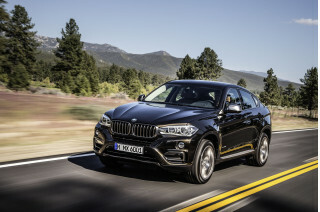 The X6 xDrive50i is only available with all-wheel drive and its 4.4-liter twin-turbo V-8 is a sweetheart of an engine with its 445 hp and 480 pound-feet of torque, enough to fire off a 4.7-second 0-60 mph sprint. 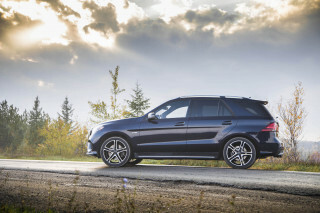 A quick-shifting 8-speed automatic is the only transmission on offer. The 6-cylinder provides ample thrust for most users and is commendably smooth. But if you’re going for an X6, the V-8 seems to suit its mission in life especially well. After all, this isn’t a luxurious family hauler as much as it is a statement vehicle. All models ride on the firm side, with body motions controlled especially well. BMW, once the master of telepathic steering, still hasn’t figured out how to make today’s electric steering setups engaging, however. The X6’s thick-rimmed, leather-wrapped steering wheel is a pleasure to hold but not necessarily to operate as there’s little road feel. For those who must have more, the X6 M is the rocket ship of the group with its thundering, 567-hp, 553 lb-ft version of the V-8. There’s more than just an engine here, though, as the X6 M has its own air suspension setup and beefed up sway bars. It handles as well as many low-riding sports cars, albeit again without a whole lot of steering feel. Unlike the X5, the X6 isn’t offered in plug-in hybrid or diesel variants. As long as you're not hauling a family of five and plasma TV, the BMW X6 is comfy enough. One look at the 2018 BMW X6 and you know you’ll be making at least some compromises. Predictably, we’ve pulled off a point for its limited rear seat head room, but we’ve added another back for the generally classy feel of its interior. The X6 is available with a wide array of interior finishes, including several wood and aluminum trim options and various grades of leather upholstery. Every model feels assembled with care and mostly worth their hefty price tags—as they should, since a loaded model tops $100,000. Front seat passengers are treated to comfortable, multi-adjustable thrones and a good view out. That’s not the case in row two, however, where the roofline limits ingress, egress, and head room. The X6’s cargo area suffers as well. The sloping rear window means that tall items are a no-go, although there’s still nearly 27 cubic feet of room back there. That’s about 9 cubes less than the X5, but the difference here is more about usable rather than ultimate space. There's a lot of safety tech, but not a lot of safety data for the BMW X6. Underneath and up front, they’re the same crossover. The X5 scores five stars overall from the NHTSA and has earned good marks in limited testing by the IIHS. All versions of the X6 come with a host of airbags, stability and traction control systems, and a newly standard rearview camera. 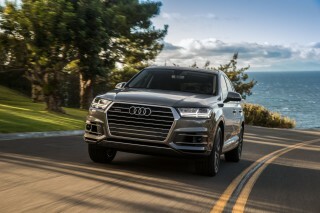 On the options list are desirable features like a surround-view camera, a head-up display, automatic emergency braking, night vision with pedestrian and animal detection, forward-collision warnings, and adaptive headlights. No model is basic, but the BMW X6 becomes a decadent luxury machine with just the right options selected. Every version of the 2018 BMW X6 is fitted with a lot of standard equipment and a large infotainment screen. Make your way through a slightly simplified for 2018 options list and there’s still plenty of room for decadent customizability since having an X6 just like your neighbor’s is so gauche. This year, BMW has taken a few optional equipment packages and rebranded them as trim levels. Now, you can buy an X6 (excluding the X6 M) in base, Premium, M Sport, or Executive configurations. Unlocking each trim level opens up more available individual options, meaning that although the lineup has been simplified somewhat, the odds of two identical X6s on a dealer lot are quite low. Base models still come with leather upholstery, 19-inch alloy wheels, power front seats, and heated front seats. The Premium package adds goodies like a keyless ignition, satellite radio, and wireless charging. M Sport brings heavily bolstered seats and a firmer suspension to the party. 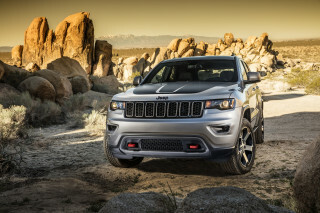 Finally, the Executive Package goes all-in with fancier leather, full LED headlights, soft-close doors, air conditioned seats, and Harman Kardon audio. 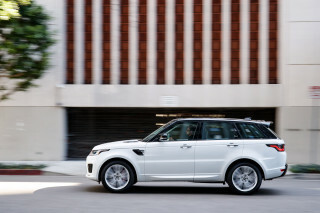 Big options include Bang & Olufsen speakers and an air suspension system. One caveat: Although navigation is standard, Apple CarPlay compatibility runs $300 extra. The X6 M works a little differently. It’s outfitted about like an X6 M Sport but is offered in a limited number of exterior colors and only has a handful of individual and packaged optional extras to sort through. For all of its performance, the BMW X6 is reasonably efficient. Despite its hefty power, the 2018 BMW X6 isn’t as thirsty as you might think. Stick with the rear-wheel drive sDrive35i and you’ll sip a bit less: 18/25/21 mpg. Go the other way with the xDrive50i and those figures plummet to 15/21/17 mpg—still not bad for 445 hp. 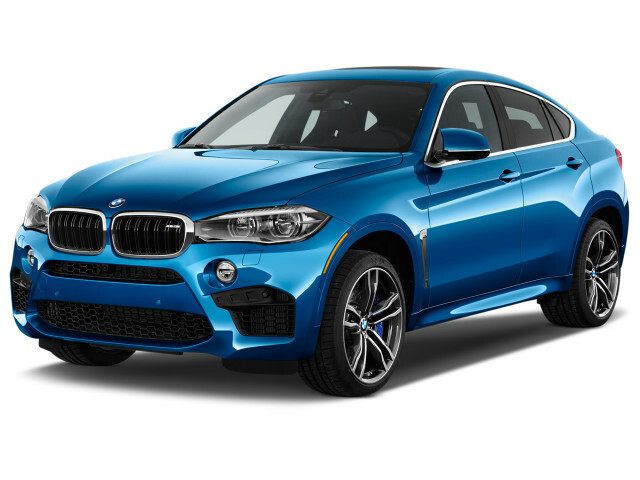 The X6 M comes in at just 14/19/16 mpg. All models feature a stop/start system that cuts out the engine at traffic lights to save fuel.